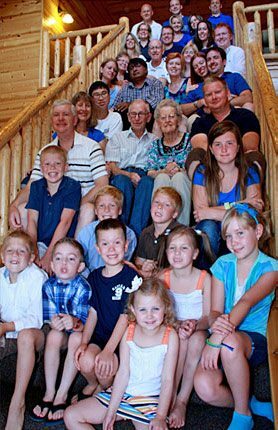 Which Can Accommodate From 2 to 40 guests! 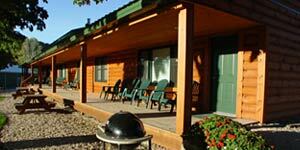 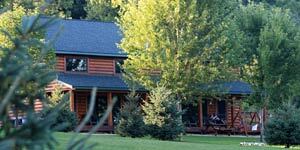 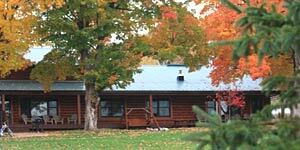 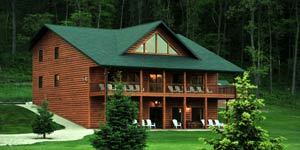 We are excited to offer a “New Minnesota Resort ” (all cabins built between 2001 & 2014!!) 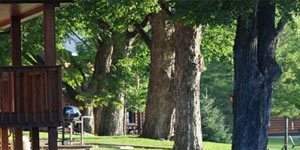 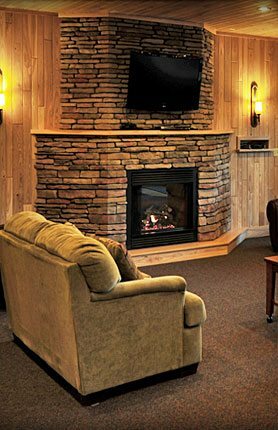 Our Family Resort has 11 beautiful log sided Cabins ranging in size from 1,400 sq’ to over 5,600 sq’ and will accommodate from 2 to 38 guests! 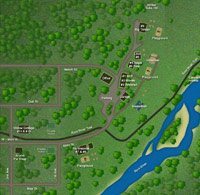 Lanesboro MN, named one of America’s Prettiest Towns by Forbes Traveler, one of the 50 Best Sports Towns in the Nation by Sports Afield Magazine and the Bed & Breakfast Capitol of Minnesota is located just 5 minutes away on State Highway 16. 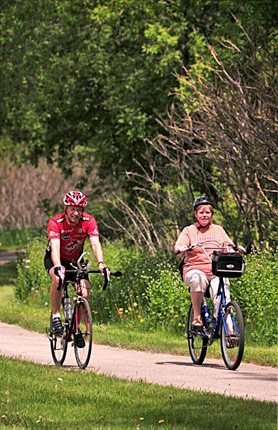 With the Root River State Bike Trail, the #1 rated trail in the state, winding through our Southern Minnesota Resort and the Root River running along side, there is no better access for fishing, biking, hiking, blading, kayaking or tubing. 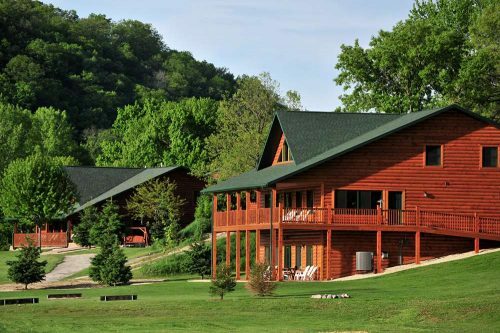 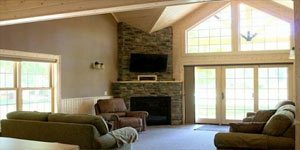 Whether you’re on a working vacation or simply relaxing with us, you’ll enjoy the unspoiled natural splendor of the Root River Valley right from your cabin and porches. 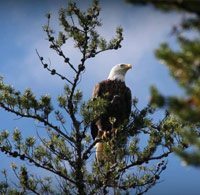 The wildlife is abundant and includes eagles, deer, wild turkey, turkey buzzards, and of course in the evening you’ll hear the owls and coyotes. 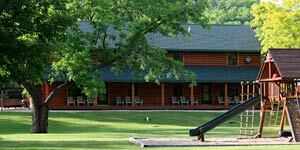 If you’re looking for a Family Vacation, Family Reunion, have a group of Friends or a Group Retreat we believe we have the perfect setting and accommodations for a relaxing, memory filled getaway throughout the year! 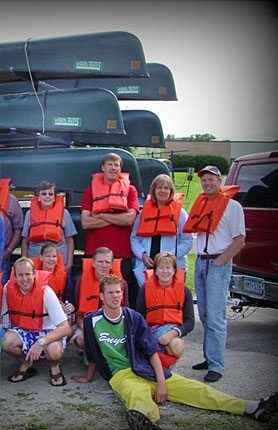 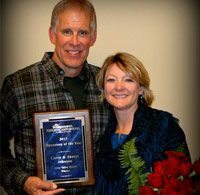 Owners Larry and Sheryl Johnson were honored by the Minnesota Resort and Campground Association with the Operators of the Year Award for 2013! 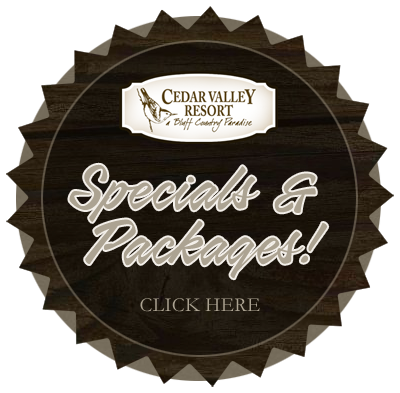 Cedar Valley Resort - Lanesboro, MN © 2019.